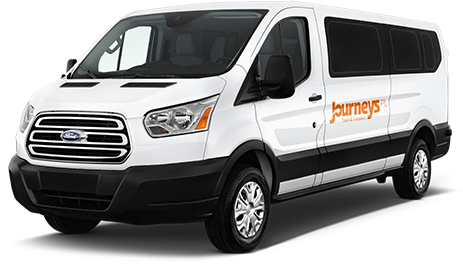 Journeys PL is a South Florida based Tour & Transfer company oriented and designed to make the customers trip the most enjoyable experience. Check out our services. Miami International Airport and Orlando International Airport. Journeys PL provide the best quality service options. Customer satisfaction is our top priority. Now you can hire a driver to act as your personal chauffeur for the day or evening, no matter how many stops you need. Whether you need transportation on a business trip or just a ride, our personal drivers provides a chauffeur experience in the comfort of your car. It’s no secret that Miami is one of the top shopping destination in the world. The Shopping tours is a customized service experience. Our professional will take you on personalized private or in groups tailored to fit your shopping needs. We will guide you through south Florida’s malls, Dolphin Mall & Sawgrass department stores and designer outlets! With Journeys PL you can choose between pick up & drop off only or all day personal advice. Take an Out-of-this-World day trip to the awe-inspiring Kennedy Space Center. Spend hours exploring the NASA world-class facility, launchpads and rocket exhibits. You’ll have a chance to see stellar IMAX films and get first-hand space stories at Astronaut Encounter. Journeys PL will guarantee a day marveling at the magnificence of space travel with live guided. Florida’s East Coast Beaches routinely deliver on all 3 fronts. With a Coastline that stretches some 360 miles the sunshine’s state’s east coast beaches offer a diverse array of sun-and-sand options. a route across the famous overseas highway including the Seven Mile Bridge. The time is your own here to do whatever you want. Enjoy roughly 3 hours of free time. DAY 1 - We depart Miami and head Northwest for 2 days to experience the unique Florida wetlands, swamps, wildlife nature & sunshine. Our first stop is Everglades Park. Our visit starts with a Airboat ride to explore the "River of Grass". See fish, snakes, turtles, alligators and more in their natural environments. After the ride take some time and enjoy the exhibition in the park. Now we continue west towards Sanibel Island. Here you will have a free time for lunch. Next, we head for a short drive up to the cozy and charming village of Punta Gorda. Enjoy some free time. Overnight: Punta Gorda - Four Points by Sheraton (or similar). DAY 2 - We begin our day with a visit of the Ford/Edison Museum. Get the inside scoop about the great inventors, Thomas Edison & Henry Ford. After our tour, we'll enjoy lunch time on your own in the River District of Fort Myers. Best knows for all the boutiques, arts 7 culture. Next, we head back across the Alligator Alley for a visit of the traditional Indian Village of Miccosukee.